Automate the sending and receiving of PGP files without the complexity of entering command line parameters. 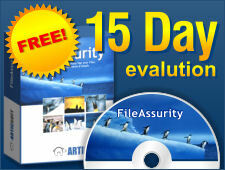 Effortlessly secure your files without any user intervention. FileAssurity Open PGP Command Line supports unlimited users and keys (all for the same low price) and a simple to use Graphical User Interface (GUI) creates command line parameters and batch files for you. 1) Protect and send sensitive files without user intervention. 2) Easily integrate automated PGP encryption, decryption, digital signatures, verification, secure archiving, and secure file deletion into almost any business process without having to do any programming. 3) Simplifies the integrating of encryption into applications or batch processes - no SDK required. 4) Automatically FTP or email your secure files. 5) Your critical data is always protected, never forgotten, or exposed to user errors. 6) Non-technical staff can automate encryption and digital signature routines using the simple to use GUI . 7) Files can be automatically securely wiped from the system when they are past their retention date. Built-in scheduling, key management, batch automation, FTP and email, group encryption, secure login, secure archives, secure file deletion, and auditing provide a powerful tool that is not only less expensive but has more features than the competition (McAfee E-Business Server, PGP command line, etc.). Based on OpenPGP (PGP, GnuPGP, etc.) and PKI standards it provides complete integration with existing systems and ensures you are not locked into any proprietary and incompatible technology. FileAssurity Open PGP Command Line runs on the server of your choice - Windows, Linux and Unix versions are available. Received files can be decrypted using PGP, GnuPGP or any other OpenPGP compliant software. "Overall this is a useful little application for automating the process of encrypting and sending files and will make a useful addition to a systems administrators toolset." Secure Computing Magazine Review.